The Pennsylvania Superior Court has decided the case of Commonwealth v. Peck, holding that a defendant can be convicted of drug delivery resulting in death in Pennsylvania even if the defendant sold the drugs in a different state. This decision is concerning because it exposes people to more criminal liability for actions that occurred outside of Pennsylvania. The decedent lived in York County, Pennsylvania with his father. The decedent texted the defendant, and they met at a convenience store located ten miles south of the Pennsylvania border in Maryland. At the meeting in Maryland, the defendant sold the decedent heroin. After this meeting, the two continued to text. The decedent expressed concern that the heroin looked like a “rock,” to which the defendant replied that the heroin was “off the brick, purest of the pure” and told the decedent to try it. Further messages indicated that the decedent tried the heroin and then thanked the defendant for it. The next day, the decedent’s father discovered the decedent. He was hunched over on the floor, and his body was stiff. His face was blue and had blood on it. His father immediately called 911. A Pennsylvania State Trooper responded to the call and found a “rock” of heroin on the decedent’s nightstand. He also found the decedent’s cell phone and read the text messages between the decedent and the defendant. A criminal complaint was filed against the defendant charging him with possession with the intent to deliver (“PWID”) and drug delivery resulting in death. The defendant then filed a motion to dismiss the PWID charge because he sold the drugs in Maryland. However, the defendant did not file a motion to dismiss the drug delivery resulting in death charge. At the motions hearing, the Commonwealth conceded the motion to dismiss the PWID charge. The defendant then went to trial on the drug delivery resulting in death charge. A York County jury found the defendant guilty of drug delivery resulting in death despite the fact that the drugs had not been sold in Pennsylvania. At the sentencing hearing, the trial court sentenced the defendant to the statutory maximum sentence of twenty to forty years’ imprisonment. The defendant then filed timely post-sentence motions requesting the dismissal of the conviction or a re-sentencing hearing. These motions were denied. The defendant then filed an appeal. His appeal focused on two issues: 1) whether the evidence was insufficient to sustain his conviction because he sold the drugs in Maryland, and 2) whether the trial court erred in imposing the statutory maximum sentence. For purposes of this post, only the issue of whether the evidence was sufficient to convict the defendant of drug delivery resulting in death will be discussed. However, for a more detailed analysis of a judge’s discretion in sentencing, please see our blog posts on the Superior Court’s decisions in Commonwealth v. Sarvey and Commonwealth v. Conte. What is the crime of Drug Delivery Resulting in Death? 18 Pa. C.S.A. § 2506 is the statute that governs the crime of drug delivery resulting in death. A person commits this offense if the person intentionally administers, dispenses, delivers, gives, etc. any controlled substance or counterfeit substance, in violation of the Controlled Substances Act, and another person dies as a result of using the substance. A defendant does not have to intend to kill the decedent to be convicted of this crime. Instead, the defendant must only intend to provide the decedent with the controlled substance. Further, a defendant can be found guilty even if the decedent has a controlled substance in their system other than the one that the defendant provided to the complainant. To convict, the Commonwealth only must show that the controlled substance that was given to the decedent was a direct and substantial factor in causing their death. How Does Jurisdiction Work in Criminal Cases? Jurisdiction can be a complicated issue. Even though the defendant in Commonwealth v. Peck did not technically argue that the trial court lacked jurisdiction to hear his case, his argument on appeal was basically a jurisdictional argument. As a preliminary matter, there are multiple types of jurisdiction. The subsequent paragraphs in this section will discuss the most common jurisdictional issues in criminal cases. However, if you are charged with a crime where you believe that jurisdiction may be an issue, you need an experienced defense attorney to handle your case. The most basic example of jurisdiction is when it is based on geography. If a defendant commits a crime in Pennsylvania, usually only Pennsylvania would have jurisdiction to hear the case. A different state (i.e. New York) probably would not have jurisdiction over the case because the crime did not occur there. However, as Commonwealth v. Peck shows, Pennsylvania can have jurisdiction over a defendant when he commits a crime in a different state but the defendant’s actions have a consequence or “result” in Pennsylvania. Another example of jurisdiction is federal and state jurisdiction. The federal government has jurisdiction over some offenses that states do not have (i.e. immigration offenses). However, there are plenty of crimes for which the federal government and the states share jurisdiction. For example, both the state and federal government have jurisdiction over cases involving drugs and guns. Unfortunately, as of now, state and federal governments can both prosecute a defendant for the exact same crime. This issue is currently before the United States Supreme Court, however most legal experts do not expect the Supreme Court to overturn this principle. In Pennsylvania, prosecutors may not file charges if the federal government has already prosecuted a defendant. The federal government, however, is not limited from filing charges even if a defendant has already been prosecuted in Pennsylvania state court. Jurisdiction is also relevant in determining whether a police officer legally stopped someone. Some police officers have very limited authority. For example, the South Eastern Pennsylvania Transportation Authority (hereinafter “SEPTA”) police officers do not have the same authority as regular Philadelphia Police Officers. SEPTA police officers are restricted to areas involving SEPTA property and customers. However, just because a police officer does not have jurisdiction to stop you does not mean that a court lacks jurisdiction over you to hear your case. 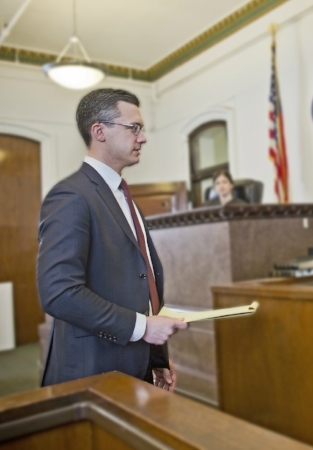 As stated above, jurisdiction can be a very complicated issue, and if your case involves different jurisdictions, then you need an attorney who is knowledgeable on these complex issues. What is the remedy if a court or police officer does not have jurisdiction to arrest me or hear my case? There are different remedies for whether a court lacks jurisdiction versus whether a police officer lacks jurisdiction. If a court lacks jurisdiction, then the remedy is the dismissal of the case. This is what happened with the PWID charge in Commonwealth v. Peck. Because the PWID occurred in Maryland, the charge was dismissed. If Maryland wanted to prosecute the defendant, then they likely could, and he would not be able to get the case dismissed on jurisdiction grounds. However, if a police officer who lacks jurisdiction arrests a defendant, then the case will not be automatically dismissed. Instead, what will happen is that a defendant will be able to argue that the evidence seized as a result of the illegal seizure should be suppressed because the police officer lacked the authority, or jurisdiction, to stop the defendant in the first place. In a very limited opinion, the Superior Court affirmed the defendant’s conviction. The Superior Court rejected the defendant’s argument that there was not sufficient evidence to convict him of drug delivery in resulting in death because he sold the drugs to the decedent in Maryland. The Superior Court stated because the decedent died in Pennsylvania, there was sufficient evidence to convict him. In other words, the Superior Court stated it was inconsequential that the defendant sold the drugs in Maryland for him to be convicted of drug delivery resulting in death. Further, the Superior Court also affirmed his sentence, so he will not get a new sentencing hearing.